And here it is, the first official poster for John Rambo. Or is it just Rambo now? They keep changing the damned title. This really surprises me, but I quite like the poster. It showcases a certain amount of class, style and restraint that I doubt the actual film will have. And yes, there is part of me that still has fond memories of watching Rambo as a kid and the image manages to tingle those parts. And you know what is another good thing about the poster? 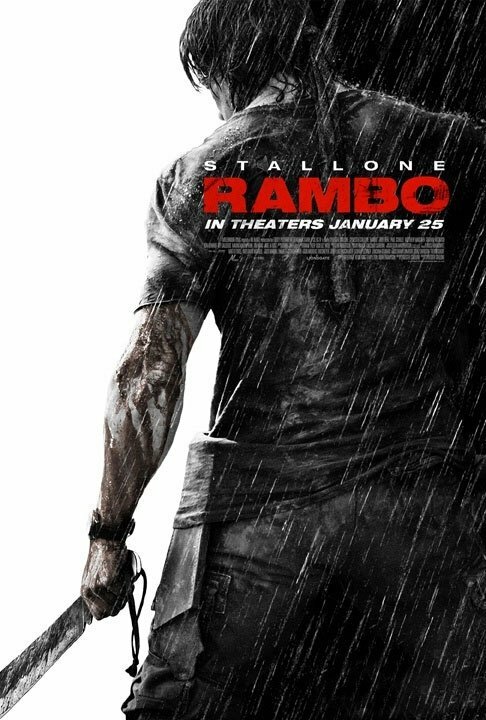 It’s use of shadow, the positioning of Rambo and the rain hide the fact the Stallone is way too old to play Rambo again. Via Empire, where they do the obligatory “Rambo is back” joke so I don’t have too.